This will be the last blog post before the holidays. Continuing on with the beginner trader blogs, T-Model Trader is back with his fifth post. I must say that this is one of the best insights into the struggles as a beginner trader I have read and I definitely recommend giving it a few minutes to read through. Instructors need to share some of the blame for this - just have a look at 90% of them out there. You will see the talk of wild profits and how much they made off of a trade, they will show you their fancy indicator that 'makes all the difference' and they will gloss over all of the losses, giving you that hope that yes, you have stumbled across the diamond in the rough that will make the journey as simple as setting the sail and then enjoying the rewards for you. This blog and those from Craig are the reality. Trading is difficult. There is a large failure rate. Statistically, you are unlikely to make it. You WILL want to quit and you WILL want to throw your computer out of a top floor window. I tell you this not to discourage you, but rather to send you into the battlefield better equipped. I truly believe that anyone can achieve anything that they want. But it has to be done in a sensible way, approaching with caution and a realistic expectation. Hard work will pay off - I see it regularly with the students I work with now - but there are no shortcuts to success. Anyway, enough of my rambling! I hope you all enjoy the blog and also the holidays. A few weeks ago, I was wondering as to what I would have written down regarding trading in January if I had projected forward into this year. I have a strong feeling given what has transpired, that I would have got much of it completely wrong. The first thing that I have noticed in reflecting upon my thoughts is that there was an outstanding quality of complete and utter naivety. Beyond the general trading picture, I seriously had no idea what I was about to embark upon. None. Zip. Zero. One of the initial attractions to trading was its portability and apparent simplicity. Given that it requires only a computer, internet connection and some cash (putting aside the all-important “how” at this point) then my minimalist nature was immediately attracted. Given that 90% of people fail at trading, then it would appear that the question of wanting to be a trader is a seriously complex affair. I find the concept of “trading” and by extension a “trader” to be a most fascinating thing to contemplate. The portability and accessibility of trading defies the notion of the 9 to 5 reality, like some wandering entity living mysteriously on the fringes of society. In appraising trading as that naïve observer, the one thing that it did look to me was immediate. And yes, those losses were immediate, so I guess I got what I thought. I would say that great chunks of this year have been spent trying to not be a failure, which in turn has shaped the way I have gone about the whole process. Failure in this regards equals entrapment, which in turn means fighting to get out of it. Being successful in my understanding means having identified “something” that is creating that success and then repeating the process to further an ongoing positive outcome. It could well be just a moot point, however I do think there is a divergence in perspectives. Striving to not be in the 90% camp has given birth to a lot of my emotional trading, as the overwhelming desire is to get out of that group at any cost. The predominant approach in this respect has been one of lack. In turn, I am sensing that this lack leads to throwing myself into the market in vain attempts to rectify the issue. When this backfires then further emotionalisms breed. It reminds me of the mythology of Hercules as he attempted to kill the nine headed Hydra (representing the emotional nature) by cutting off one its heads. Every time he did so, three new heads would grow back in its place. Eventually, after attacking the problem in his usual way (highly macho) he realized that brute force wasn’t the key to success and got down on his knees (representing humility) and lifted the whole beast into the light (a new paradigm) from which it could not survive. The story is fundamentally about being able to change patterns of behaviour when things aren’t working. Naivety can be a two sided affair. I can with hindsight look back and say…. “Well that wasn’t such a good idea” regarding some of the choices and actions that I have engaged in. Yet, I have also thrown myself enthusiastically into projects with nothing but complete faith and innocence as the driving force and bugger all prior knowledge. From both of these perspectives life unfolds and the story is written in one way or another, as struggle becomes victory and desire can attract the unplanned black eye of experience. In retrospect, a possible truthful January statement would have said something like… “I have NO friggin idea for what I am about to enter into”. Sadly thou, in reality, I would have written about how “cool” I was going to be as a trader. Near to twelve months on, I do not know whether it is better to laugh uproariously or cry hysterically at these admissions. 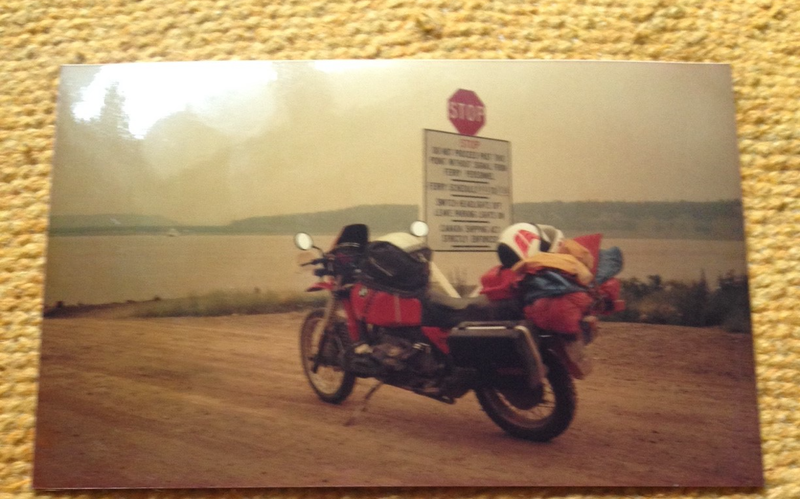 Some years ago I did a motorcycle journey through the United States, including into Alaska and Canada covering some 60,000 km over 18 months. On a daily basis, I would have people approach me saying how wonderful it must be and how they would love to do so themselves. As a motorcycle laden with gear is a truly powerful archetype of the open road freedom paradigm, people seemingly could not stop from expressing their longings for a similar experience. It was quite extraordinary how they would instantly open up to me about how they were unable to do such a thing due to the ailing Auntie needing care, the vet bills of the one eyed two legged cat, the mortgage, the local sports team commitment, the wife, the kids, the new boyfriend/girlfriend and so on….and so on. All this based upon a perception. As much as that trip was a truly spectacular time, full of great events, there was also a very brutal aspect to it as well. Day in day out, I was exposed to the elements and eventually it wore me down. My desire was to ride the entire length of the America’s, from the Arctic to Tierra del Fuego, but I stopped at the half way point as I was completely knackered. I relate this, as it is a good example of my prior perceptions meeting reality, as well as an interesting insight into other people’s views. This theme that kept coming my way via others comments (90% of the time) was about how wonderful it would be to be so “free”. Yet I can clearly remember the many times looking at houses when I rode past with such a longing to be inside with all the creature comforts and “normal” routines as I weathered yet another down pour, an Arctic wind blast or an insect plague wallpapering my entire being. I have never been so cold, so hot, so wind blasted, so dehydrated, so physically sore and so mentally fatigued. People saw what they needed to see, just as I did with my trading outlook in January. Pre-perception is a curious thing and reality a sobering slap. When I first saw the DT YouTube video, it said….“How to trade the 5 minute timeframe successfully”…(or close to that). Firstly, the 5 minute part appealed to my impatient personality. It was though, the use of the word “successfully” that I was truly drawn to. However, the more I have contemplated this “successfully”, the more I understand that mind actually read that and reprocessed as “how to NOT be a singular plain trading wildebeest amongst millions of other plain trading wildebeests”. Alas this word “success” created such a primitive response that “potentially” I would be that wildebeest that got across the river crossing without becoming a crocodile snack. Basically put….that I might survive this trading experience. So…back to the journal in January. I can remember a thousand seriously great twisting mountain roads dripping with stunning scenery on that trip, laying the bike into the curves and feeling the rush. That is the feeling that I would have attempted to capture in my more poetic moments about what my trading was going to be like at the beginning of the year. It would have been the heady mix of power, freedom, self-determination and excitement rolled into one. There have been a few trades this year that got close and several that may have noticed that sort of scenery in the distance with a good set of binocular’s. However, for the other 99% of the time it has felt like a long motorway with one billboard after another trying to convince me to partake in the benefits of discipline (and not much of view to behold). Close to a year on and I do feel somewhat more wizened. Maybe even a little more insightful too. I think that the greatest asset that I now have is about the understanding of process. I can thankfully say, that I am stepping into “the process of becoming a successful trader”, as opposed to being trapped in the process of not being a failure. I am at that tipping point where I could ponder the reality that the glass could potentially be called half full (nearly….let’s not get too cocky). Rarely these days do I chase a trade, knowing that another one will come around again and that ubiquitous Dud trade (my house specialty) is slowly losing its will to live through neglect. Revenge trading is all but gone as I now know when to turn the computer off and walk away. If I am feeling a little flat mentally, then I feel totally okay about just letting a day go by without the charts and not feeling I have missed the boat completely. My losses aren’t a trip down into Hades anymore, just as my successes aren’t reason for a wild celebration. I guess this is called equilibrium. I saw many wonderful sights on that bike trip. It was though, the Arctic tundra of the Canadian North West wilderness that was truly awe inspiring. The vastness was amazing (I’m an Aussie… I am use to vastness). It was a landscape of other worldly dimensions. 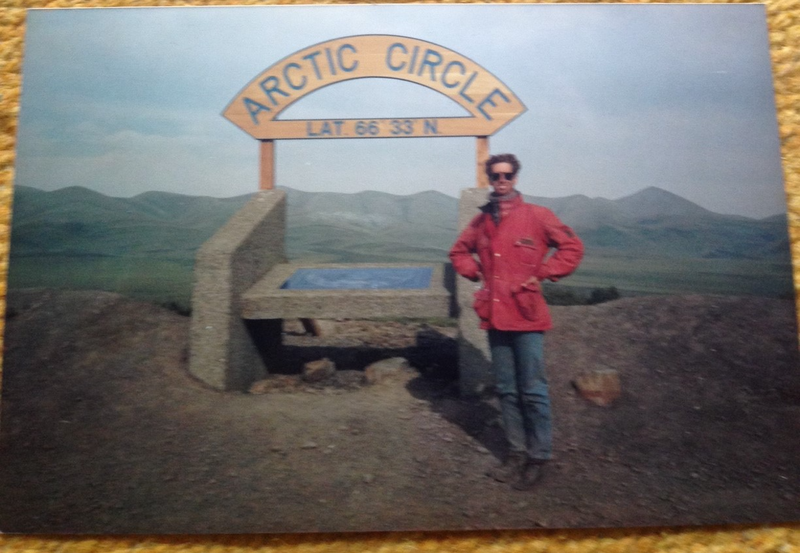 To get up into the Arctic involved a 2000 km return ride on a dirt road (road was bit of an exaggeration at times). I have often thought about this journey up into the Arctic when trading has been a serious struggle. Like that landscape, trading has opened up a completely different experience, far beyond my initial perceptions. Not even my wildest imaginings would have come close to what has transpired this year. I know that I have grown as a person and have had to deal with more than a few of my contentious traits. 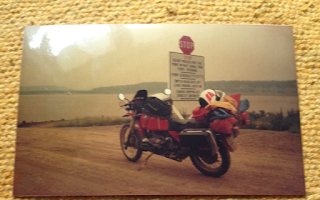 The photo of the bike is at the Arctic Red River (a bit murky as it is a photo of a print photo). It was the point of truly entering into the wilderness end of this part of the journey. As I awaited the barge to take me across, I felt the thrill of stepping into a whole new experience. 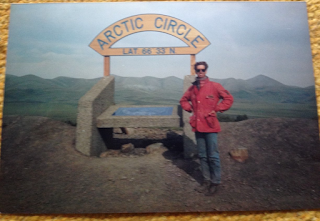 Additionally though, I also began that leg of the journey on the dirt road into the Arctic with great trepidation about falling off. I hadn’t done that much off road riding before and felt an underlying anxiety about getting injured in such a remote environment. When I eventually got back on to a sealed road many weeks later, I was a completely different rider. The last 1000 km back was an absolute hoot. In the early stages of riding on that dirt road, my body would shudder at every slide of the back wheel on the loose surface. By the end, that feeling of sliding at 80-100 km per hour was just known and lots of fun. I had simply learned how to manage those moments (read trade management and you will get my point) and stay calm. Likewise, I am really looking forward to the new trading year ahead as the accumulated trading bruises have toughened me up somewhat this year. And just like the bike trip, I feel completely knackered by the many highs and lows, the many hours of looking at charts, the bewilderment, the befuddlement, the light bulb moments and that all my screaming at the screen didn’t make an iota of difference (must remember that one for next year). .